I was looking through my files today, trying to find some pictures of India as I was compiling an album on portraits from India on my facebook page. I came upon a folder with pictures I had taken in 2006. The pictures are not of very great quality and as I am not going to edit them, they probably have a washed out look, I just hope they don’t make you cringe. They are very special to me as they are some of the only pictures that survive of my many outings on the beach with my younger daughter, before we moved to India. Most of the others were destroyed by a virus which ate up most of their digital childhood memories and left me devastated for a long time. These pictures never fail to bring a lump to my throat, for when you have lost the most wonderful memories of your offsprings’ growing up days, whatever is left is a treasure beyond measure. Moreover these pictures mark the end of an era in our lives. On this day my daughter was still a child, she had only known this one place since birth and it was home. Now she would be moving out, going to a new environment, adjusting, growing up, making memories; she would return here time and again but things would not be the same, maybe the carelessness that she had displayed all these years would be changed in some ways. Now when she has returned here for a longer stay she is different, grown up, though she still plays the fool, there is a sense of purpose about her. I miss those days and so does she. We spent a lot of time on the beaches taking long walks together, or having breakfast at Macdees on week-ends or during holidays. 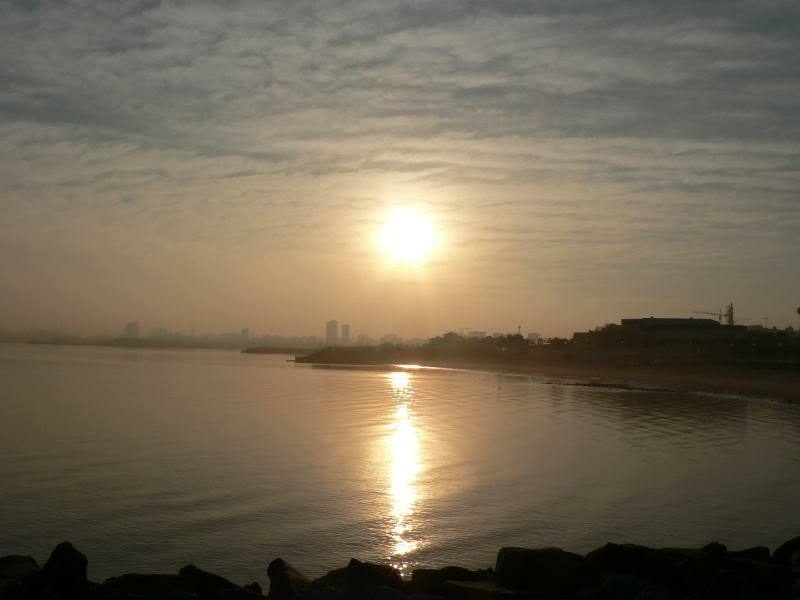 I often spent my mornings on the beach taking long walks or writing poetry when the kids were at school and then went back in the evening with my daughter. 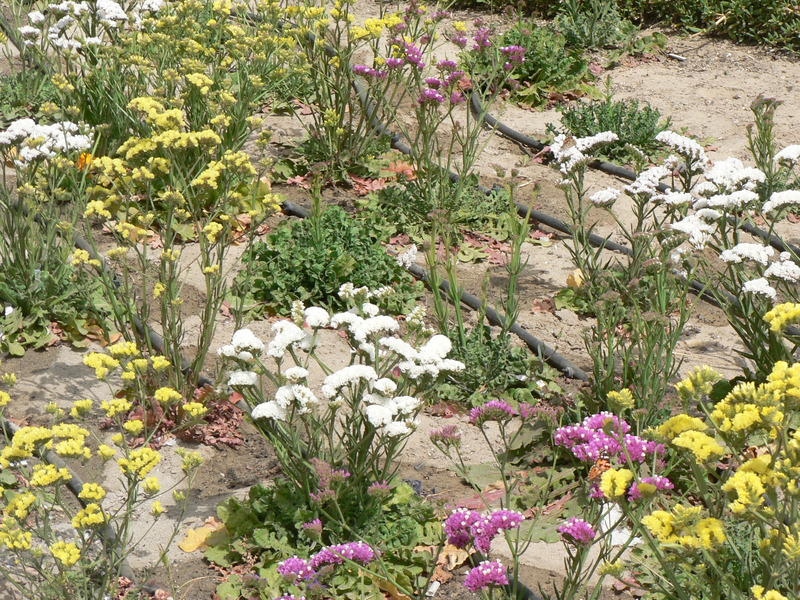 Once I wrote a poem on spring in Kuwait and a friend asked me if I had pictures, as he could not find any pictures online. I thought that perhaps painting pictures with words was not sufficient and I should take pictures of my view of my world and share it with people on the net. So began my journey with my 2 mp Minolta point and shoot, recording much of what I saw and sharing it with the world through webshots and a few other sites, like Trekearth. There are so many memories we have of those times together, my younger daughter was always willing to come with me whenever I wanted to go out and we had some wonderful times together. There was the time when I wanted to photograph the sunrise and dragged her to the beach at dawn, she woke up without a protest and came with me willingly. We walked in harmony with each other and with our surroundings, both feeling at peace with ourselves as the sky lightened and grew rosy with the approaching promise of a bright new day. It was a beautiful morning, the dew was still on the grass and held cupped in the hands of leaves like a precious, fragile object they did not wish to give up but hold on to as long as they could, like I wished to hold on to the beauty of that crisp clean morning, to the quiet sea, the shore half hidden in a slight veil of morning mist, the sky covered lightly with clouds and the sweet innocence of my daughter’s childhood for just a little bit longer. Our walks were so special that after we moved to India, they were one of the things my daughter longed for the most, though even there we had some special moments together, but the walks had their own place in her memories. Whenever we returned to Kuwait for the holiday’s it was the one thing she wished to do with me and even now we have established our tradition of the beach walks. One of the last walks we went for before we left though was in March 2006. 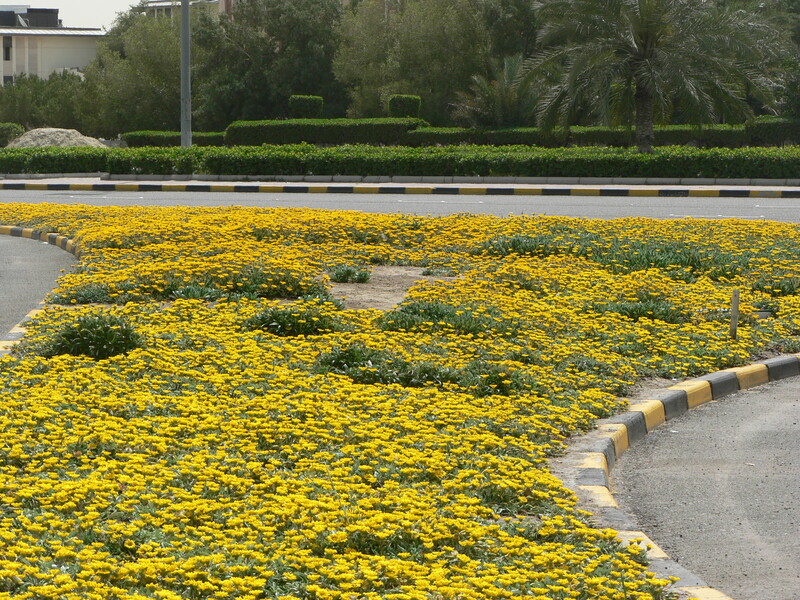 Kuwait was covered with the green and yellow mantle of spring. 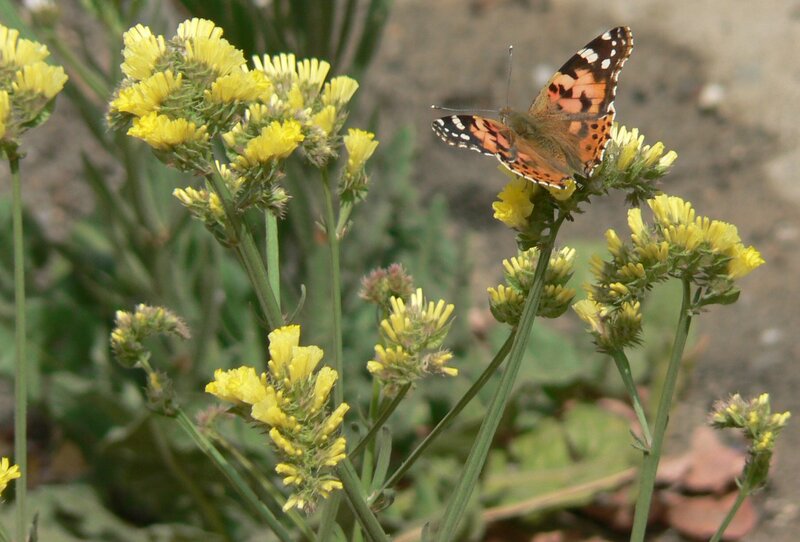 There were flowers blooming everywhere and gay butterflies flying merrily among them. 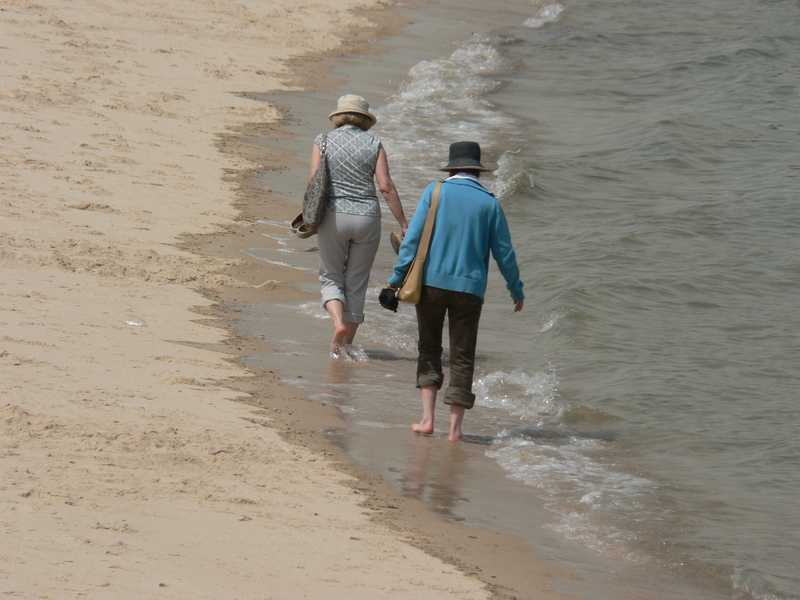 The beaches we visited were a few kilometres away from home and not the ones we usually walked to. 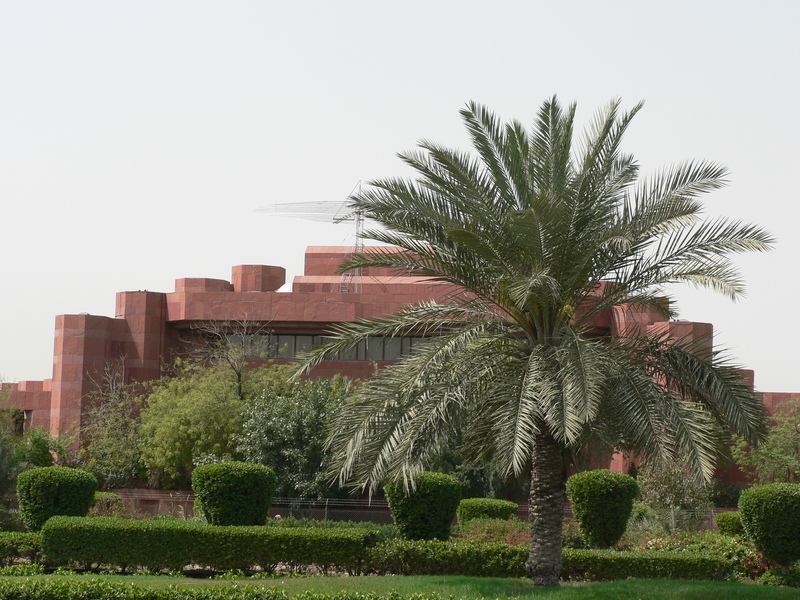 That day we had finished some work at the Indian embassy, which is an imposing red sandstone structure on the sea-side, and decided to walk on the beaches instead of heading home. 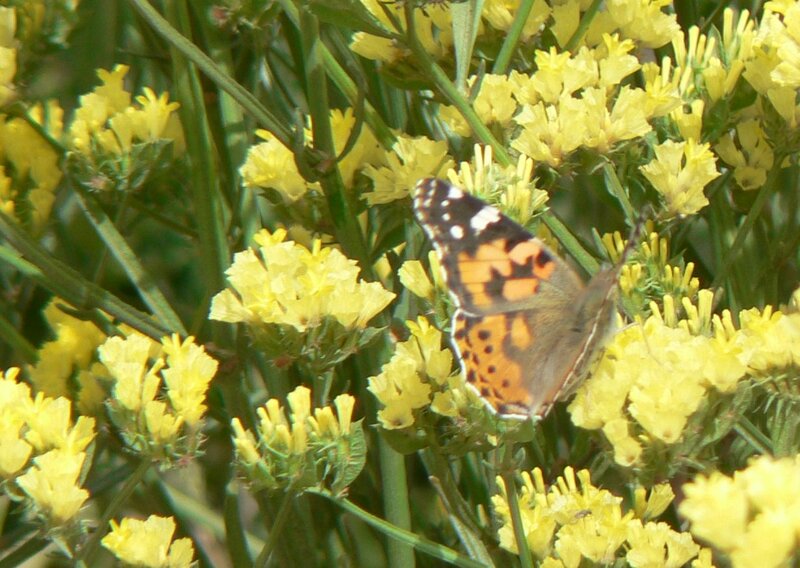 and among the brilliant flowers painted ladies flitted and danced holding us enraptured for quite a while. 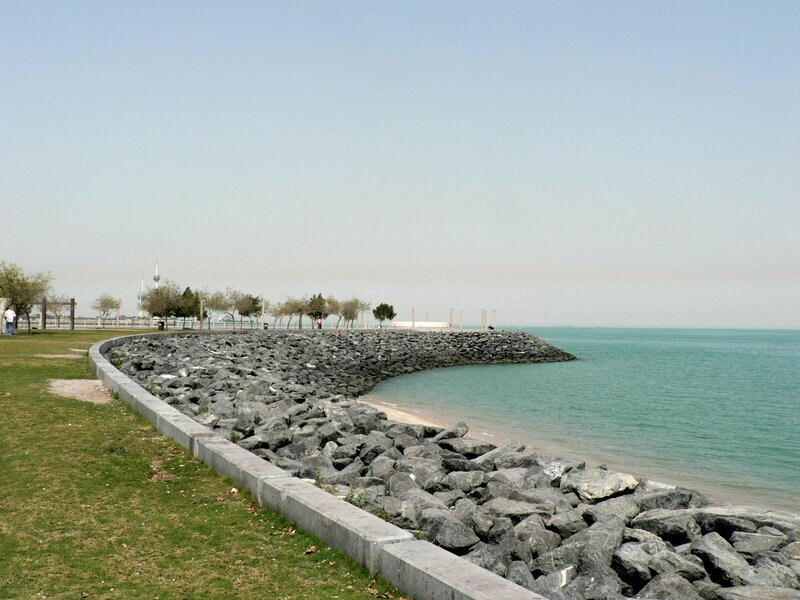 The promenade stretches on for many a kilometre and links together a number of beaches. We perhaps walked three to four kilometres. 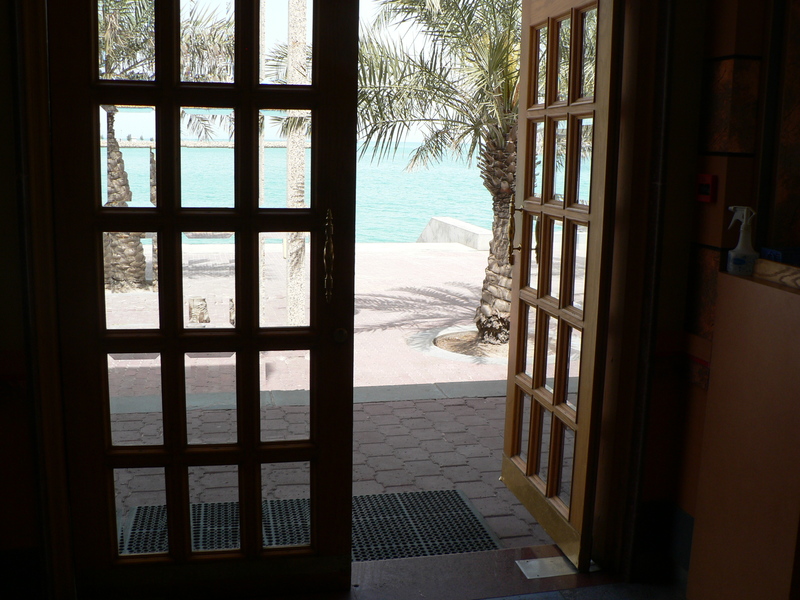 Though the bays and beaches are similar, all of them have restaurants and some kind of play area or garden attached to them, which distinguishes them from the others. 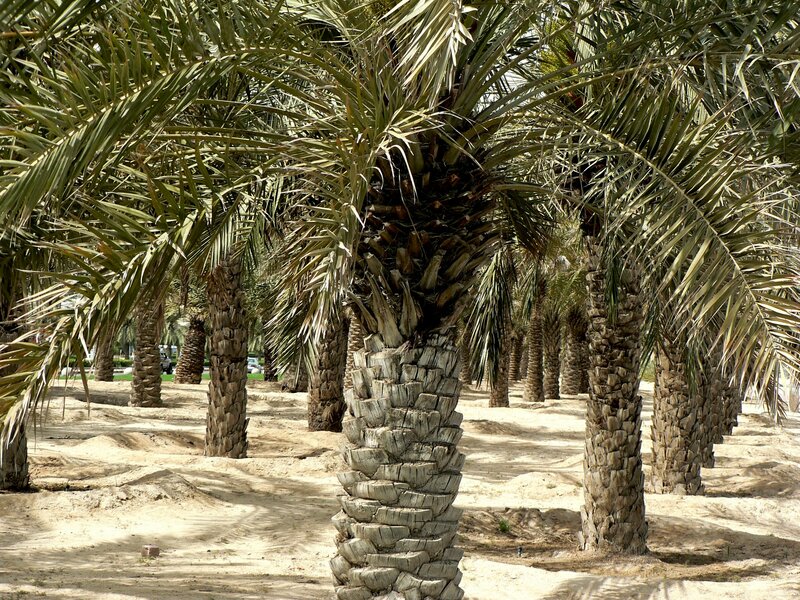 There is a stretch on the side of the road that is covered by rows of date palms, from which dates start appearing in late spring and early summer and hang heavy as they ripen and turn yellow in the intense heat of the desert summer. 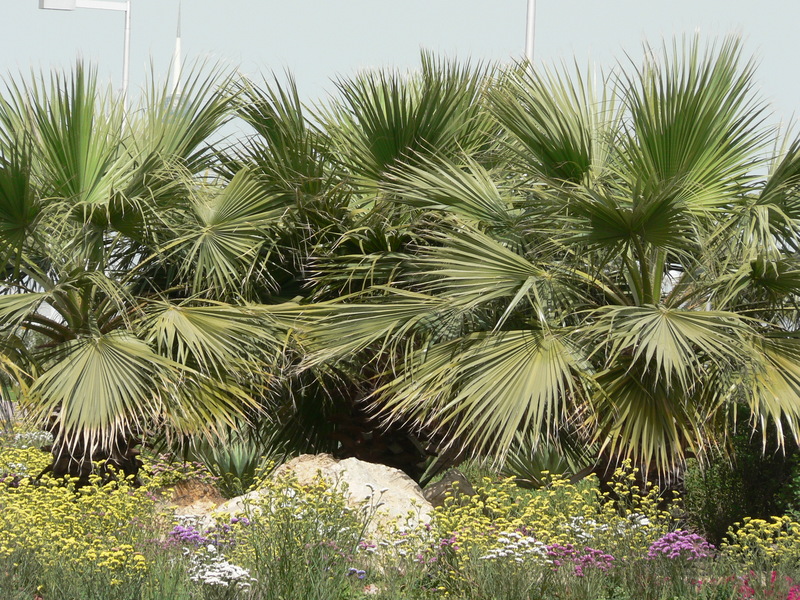 date palms are a regular feature of countries in the Arabian Gulf and in Kuwait too they are found everywhere. 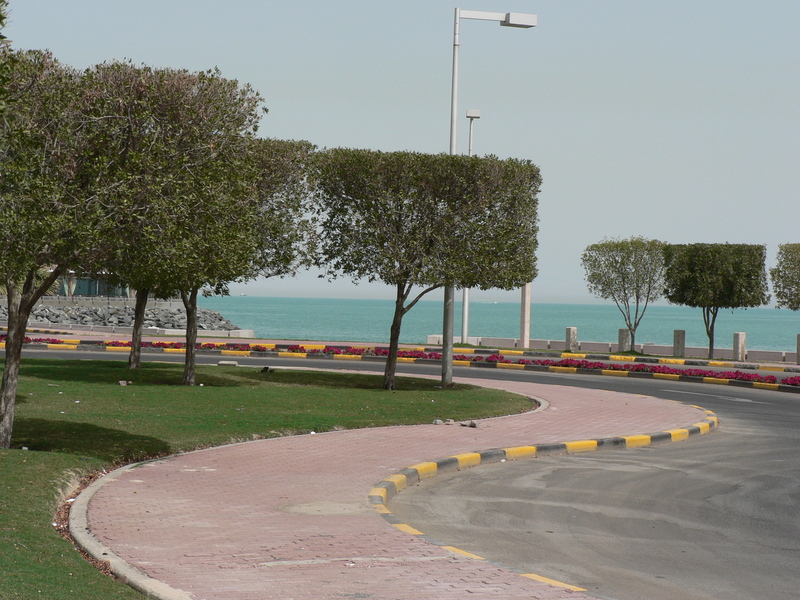 As we were walking the beach was to our right and Arabian Gulf Street and apartment blocks beyond it to our left. Suddenly we saw thick smoke rising from one of the buildings, there definitely was a fire, fortunately, it seemed to have been extinguished very quickly as the smoke disappeared soon after. 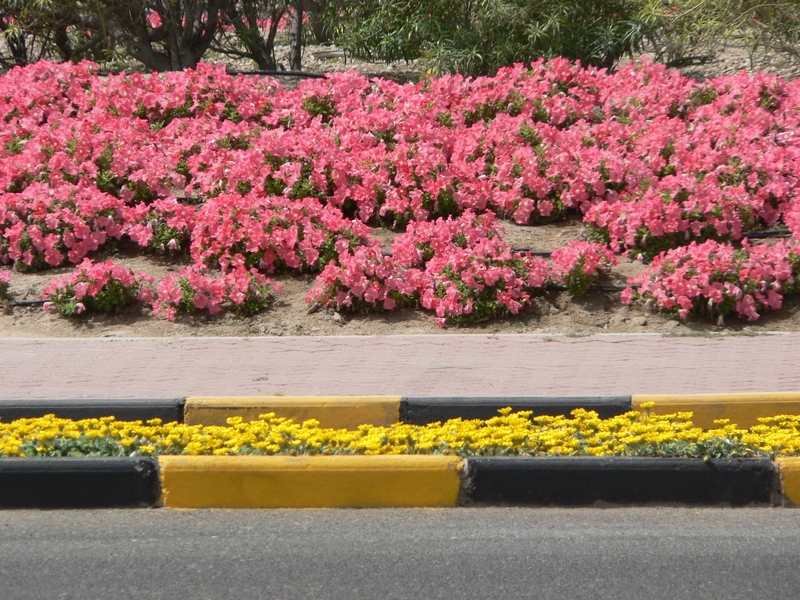 We passed some lovely landscaping on the road again, this time flowerbeds full of pink and yellow blooms. We soon approached another beach, one we had lived close to once, when my younger daughter was born and we used to come here often during her early childhood. Many were her memories of climbing the bars and jungle gym here and being pushed on the tyre swings by her father. 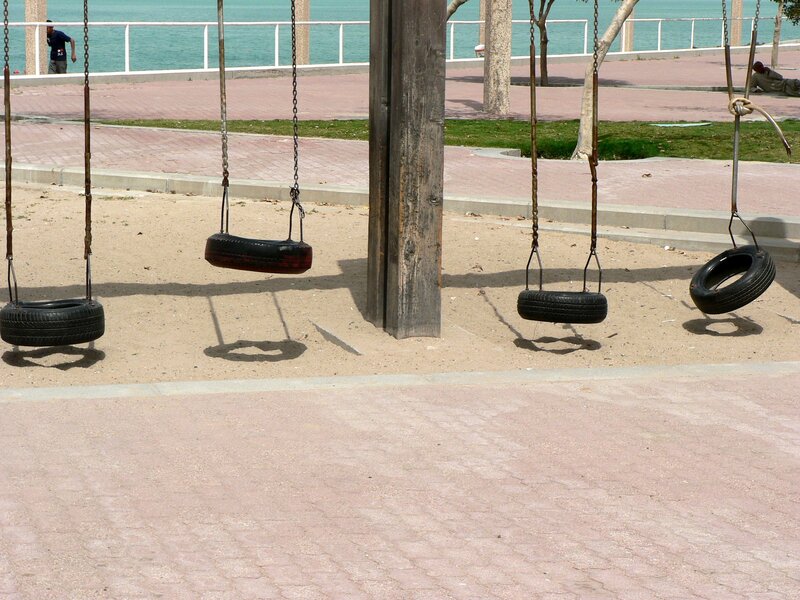 Now once more she began reliving those memories climbing on the jungle gym and see-saw and swinging on the tyre swings. 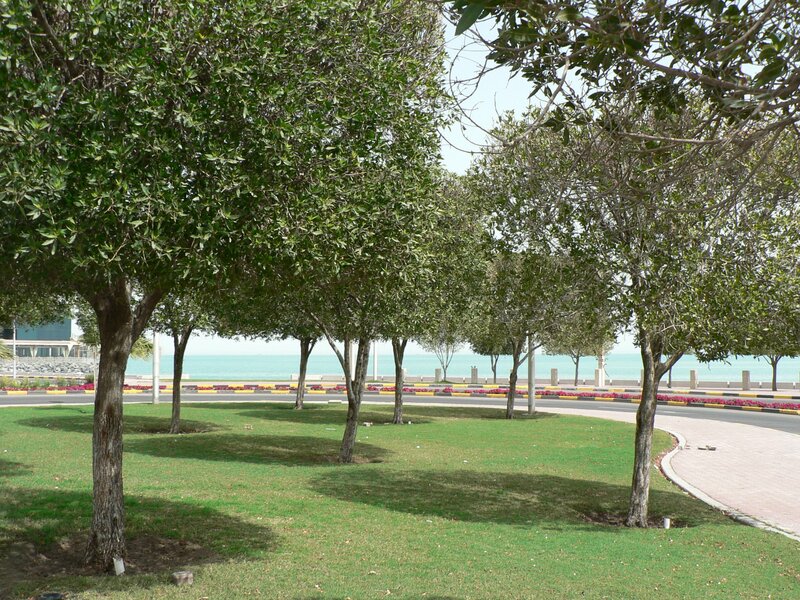 The garden here had a lawn and a number of ficus trees. 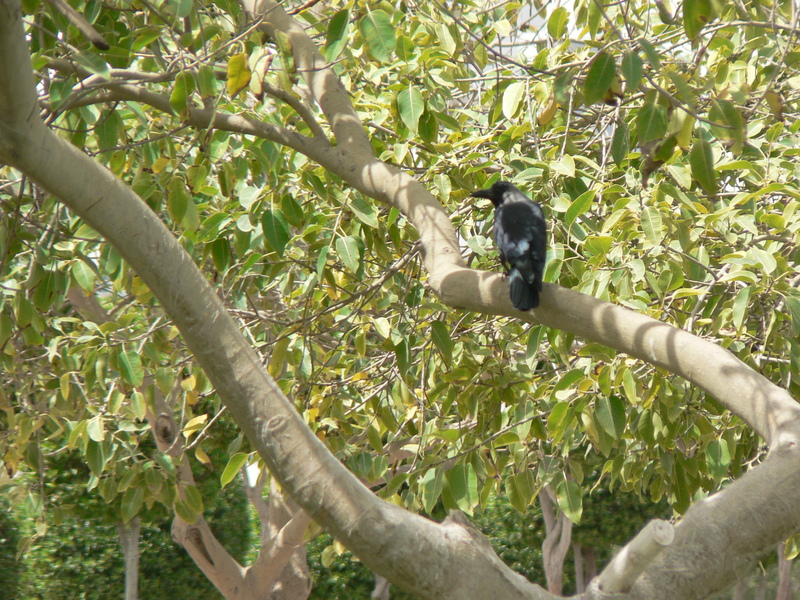 To our utter amazement we saw, what was unmistakably a crow in one of the trees. 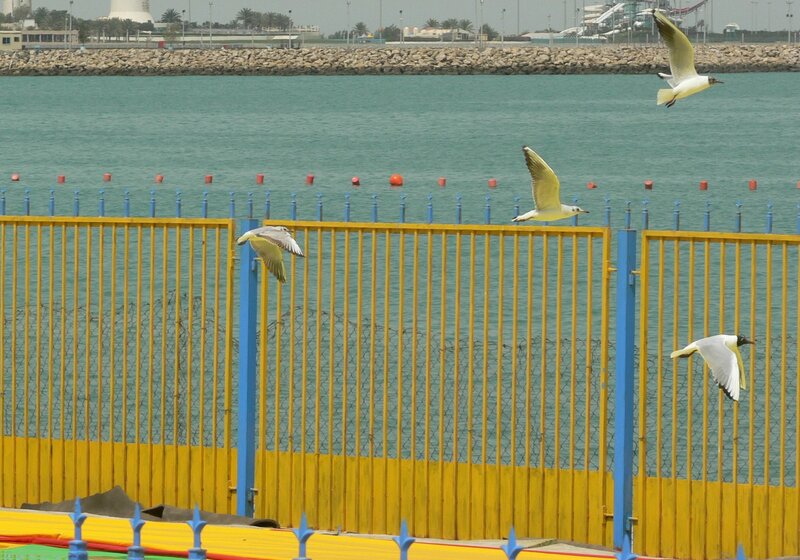 Now, never before or since have we ever seen a crow in Kuwait. 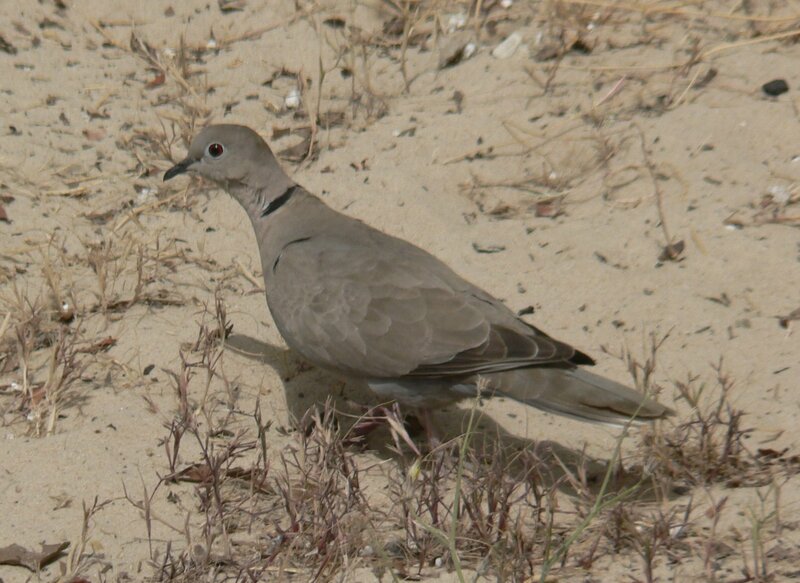 There are more than 200 species of birds here, many of which are migratory birds but a few like doves, pigeons, sparrows, even bulbuls, are found throughout the year. Through winter we have seen egrets, gulls and a number of migratory birds flock to the beaches but never a crow! 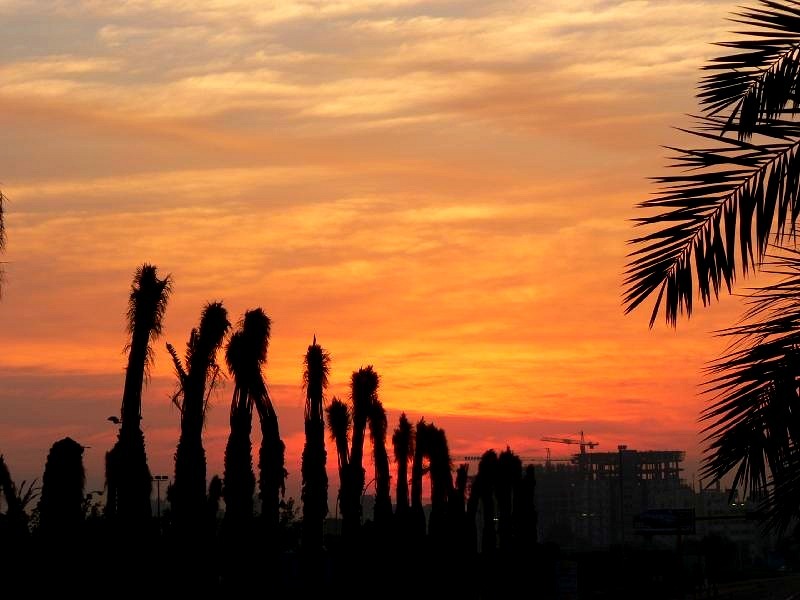 We have seen crows in Dubai and many of them in Sharjah, but never in Kuwait. 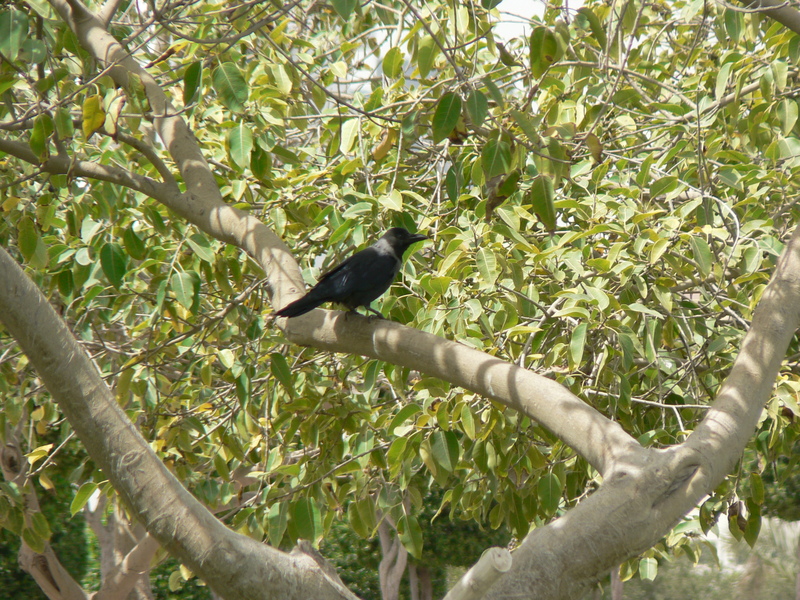 That day was etched in or memory forever, as the day we saw the crow in Kuwait. Yes it was ‘The Crow’ and not ‘a crow’ as it was definitely not one of a number. 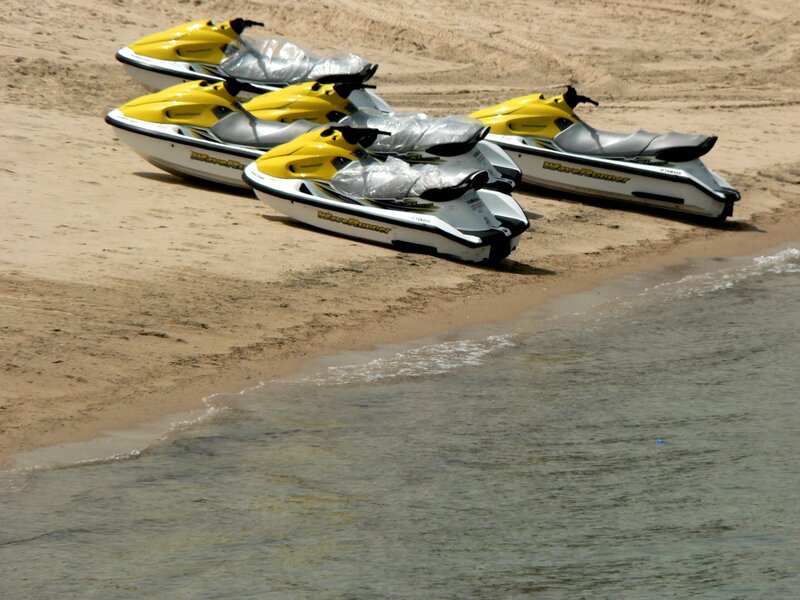 The beach beyond the trees had a number of jet skis for hire, sitting in a pretty and bright row awaiting customers. 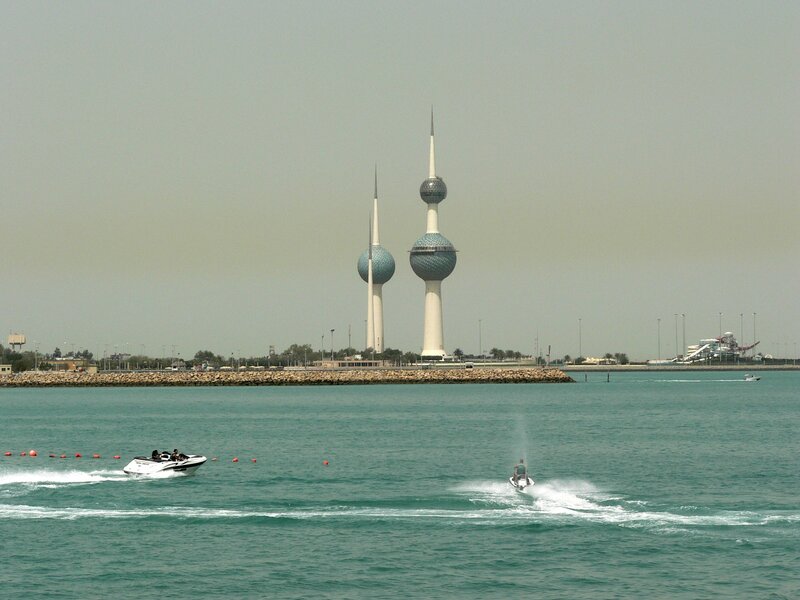 beyond we could see the landmark Kuwait towers in the distance and other jet skis and motor boats leaving white wakes in the sea. We walked past the benches and Florida buttonwood trees, that line the promenade, and beaches with doves and pigeons on the sand and in the water. We approached some gulls and they suddenly took off in a flurry. 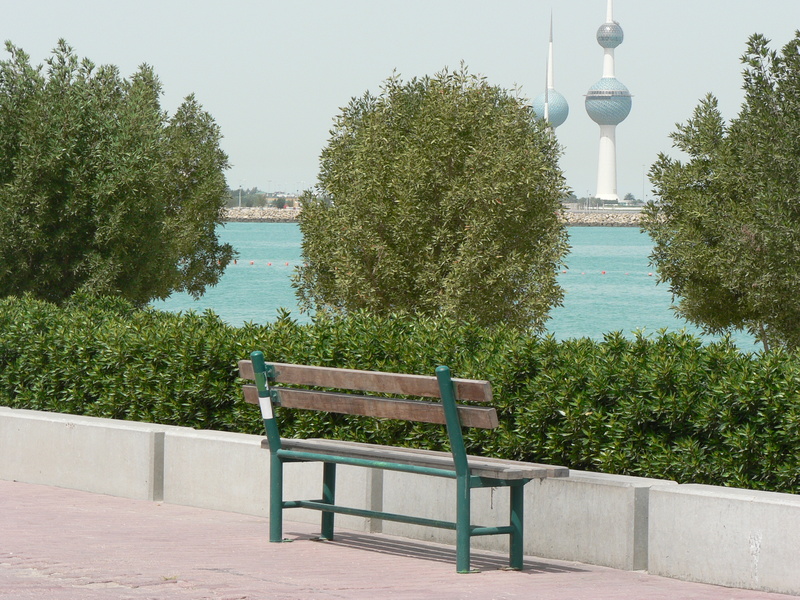 All the while, Kuwait Towers seemed to dominate the scene, even from a distance. In places my daughter would climb down to the rocks for a bit, she was having fun, though I kept fearing she may fall. 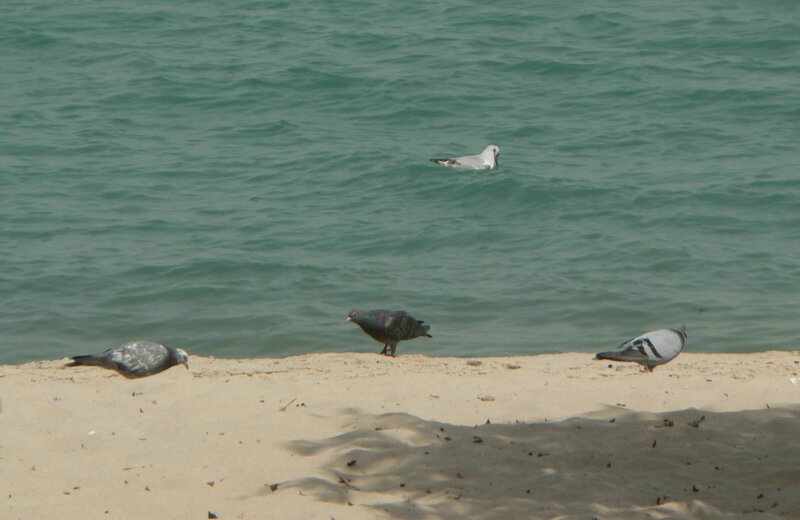 Though we had not walked a long distance but we had been on our feet for sometime ,as we had stopped on the way to enjoy and admire everything so by the time we reached the beach with Kentucky Fried Chicken we were both quite hungry and ready to head home. 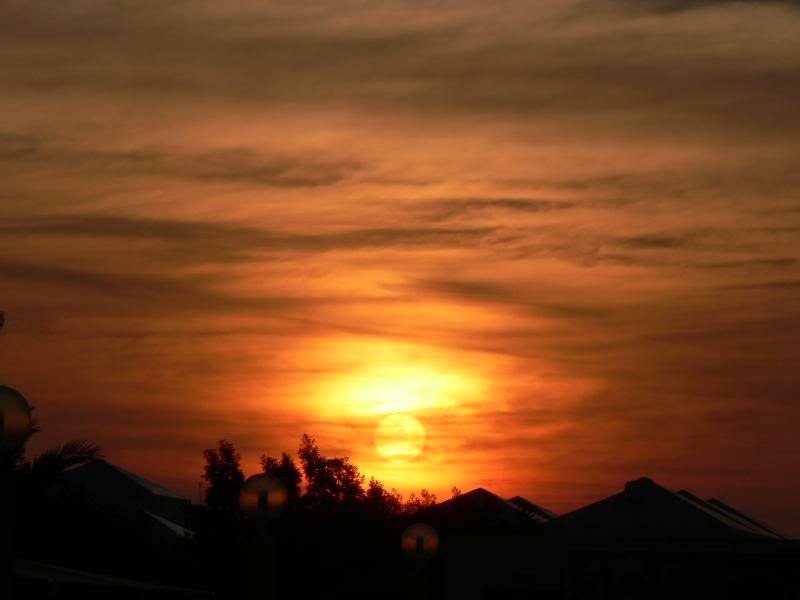 The sun too had grown hot by now as it was afternoon. I took some pictures of the beach, picked up a couple of meals from from KFC and we made our way, with me trudging painfully by now, to find a taxi to take us home. We returned tired but satisfied. A walk is such a simple pleasure and costs nothing, yet it can leave memories that one can cherish and treasure forever. “Cringe?” Come now- these photos were enticing and the ones of the dancing ladies amongst the blossoms of spring were almost surreal in their beauty and delicacy. a pleasure to read and marvel of. “perfectionist” tendencies tend to create shadows on true beauty. 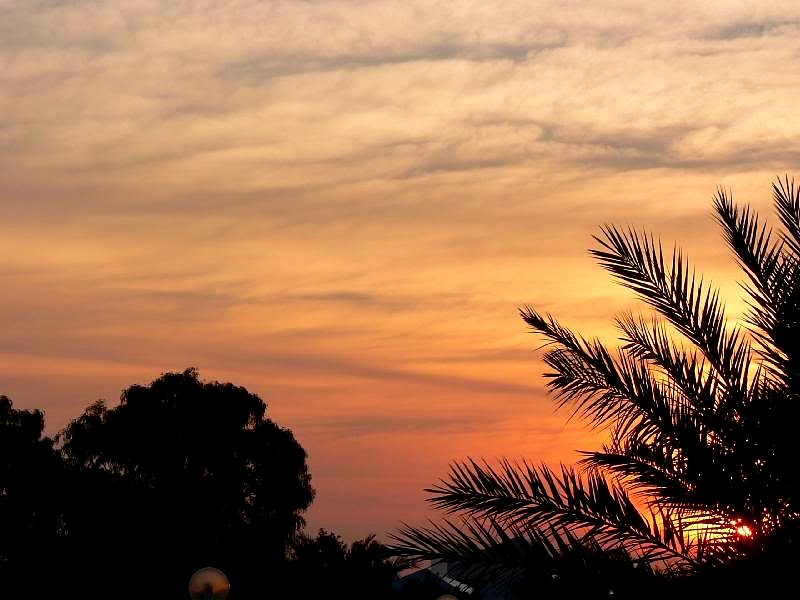 I love these views of the Kuwaiti daily Life and our surroundings and the way you described the day. You are so good with words and with the camera. The photos all have a washed out look, ….and they make me cringe. Well, you say it is’ finished” but truth is nothing in life is ever truly “finished,” the photos are grand and we have have lots of crows and crackles here- crackles are black birds that look a lot like crows- we also have Mexican Love birds here- they escaped from a bird sanctuary about 15 + years back and adapted to the area and proliferated- they are very pretty and have a sweet voice- I have many trees on my property- the most for many miles- so there tend to be several mating pairs here each summer. 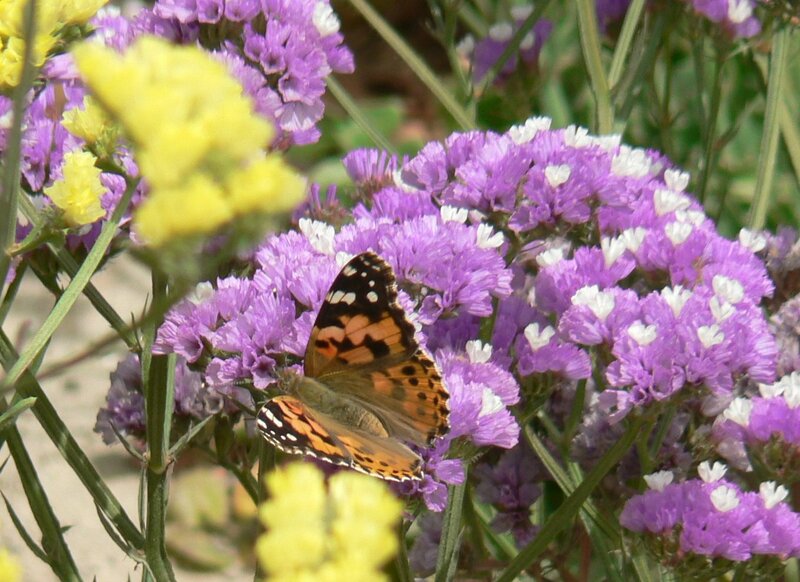 Simply a very, very lovely blog, loved it! :):) great work! !